When is a door a cabinet? 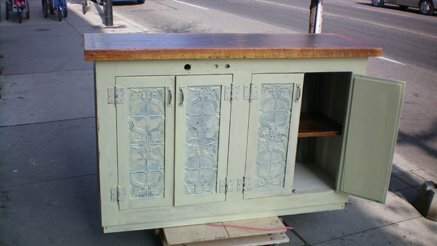 Cabinets, sideboard, and more made from reclaimed doors! Yes, it's a door but it is also so much more! Made to our customers exacting specs, this unit features four doors adorn with antique tin ceiling tiles, a two inch thick reclaimed wood top and one inch thick reclaimed wood shelf inside.